Wandering around the CBD is hungry work and it can be pretty hard to find a good place to eat. Now you can head to the 580 George building on (you guessed it) George Street for the latest elevated addition to the city's dining districts and food courts. 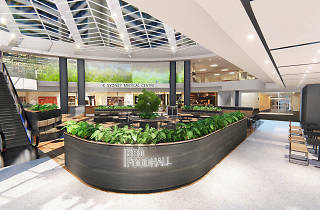 Entering the revamped 580 Foodhall, you'll be greeted by modern interiors and some of the city's best owner-operated eateries. The days of food court plastic tables and chairs and grimey tiles are over, the 580 Foodhall is a fresh and luxe space with cosy wood finishes and lush plantlife. Settle in to one of their updated seating options for a big bowl of laksa from Alice's Makan, a refreshing poke bowl from Andy’s Poke, or dosa from Anjappar. Visit 580 Foodhall to see who the rest of the exciting food vendors are, as there are a couple yet to be announced. Relaunching on Friday November 2, the improved 580 Foodhall will begin with a bang. Head down between 11am and 2pm for sets from local musicians, a pop-up prosecco bar from Brown Brothers, and food carts flinging samples of the delicious food available at the new look dining hub. Make sure you enter the competition for a chance to win a $100 food voucher to use at any of the eateries at 580 Foodhall. Simply snap a pic of your experience, or delicious meal, and use the hashtags #580GeorgeStreetLaunch and #580Foodhall to go in the draw. Terms and conditions apply for this competition, see the 580 Foodhall website for details. Don't settle for another boring work lunch or wander aimlessly down George Street with a rumbling belly, check out 580 Foodhall for slicker than your average options and interiors. 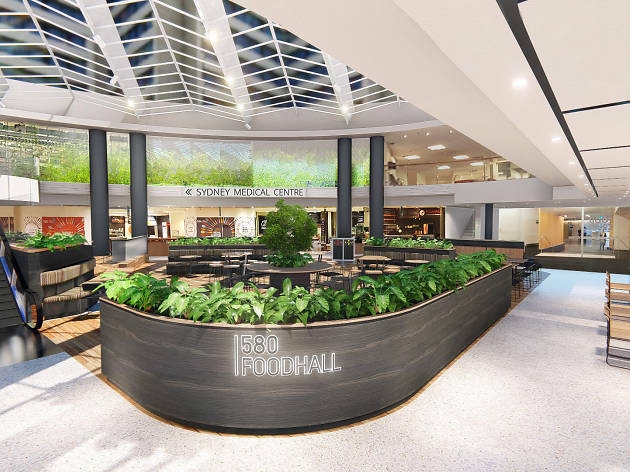 Find out more about the 580 Foodhall at 580 George.